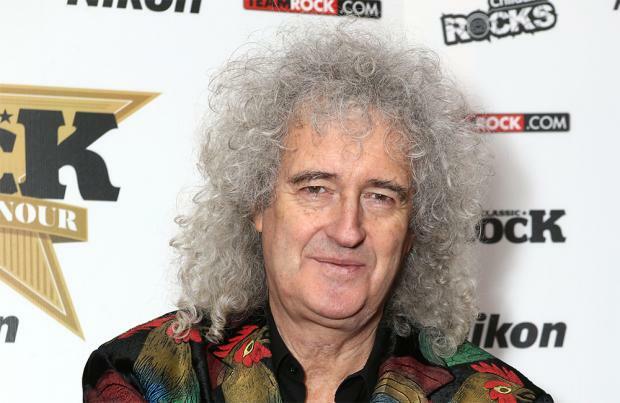 Brian May's support "lifted" the cast of 'Bohemian Rhapsody' up. Rami Malek – who plays the late Freddie Mercury in the movie – was grateful to have the Queen guitarist on set and they "wouldn't have been able to do it without him". Rami said: "We wouldn't have been able to do it without him. His support just lifted us up every day, because it's their story, they have the greatest legacy. They don't need us messing around with it at all, but his support was everything for us." And Gwilym Lee, who plays the onscreen version of Brian, is thankful to the musician for being so "generous with his time". Speaking on breakfast show Today, he added: "He was on set quite a lot actually. He was amazing, very generous with his time. He's a lovely, lovely human being." Meanwhile, Rami previously admitted that he felt "terrified" playing Freddie in the film. He confessed: "Every part of me was terrified. But then, what are you going to do? It's an opportunity of a lifetime. I couldn't pass it up ... I was very cognisant of not wanting to imitate him or impersonate him at all. I started to think about how everything he did was spontaneous, in the moment. He is someone who lived every moment as if it was his last, I feel." Although he was aware of Queen's success prior to shooting 'Bohemian Rhapsody', Rami still took a crash-course on the cultural icon before the cameras started rolling. He shared: "I knew the music, I knew Freddie's iconic look, but I did not know the glam-rock era. I didn't know the early songs, which now I'm fascinated by. It was like going to school just to study, to get a degree in Queen and Freddie Mercury. I think most people identify Freddie as this crop-haired, moustachioed, tank-top wearing muscular man who had a ton of bravado and machismo, so it was astonishing to get to know the many versions and the very sweet side of him as well."